Nottinghamshire fast bowler Luke Wood has joined Northamptonshire on loan for the first two fixtures of the Specsavers County Championship season. The 23-year-old put pen to paper on the deal this lunchtime, and will be available for the first two games of Northants’ season in Division Two against Middlesex and Glamorgan. He has previously enjoyed a loan spell with Worcestershire, with whom he won the T20 Vitality Blast in 2018. 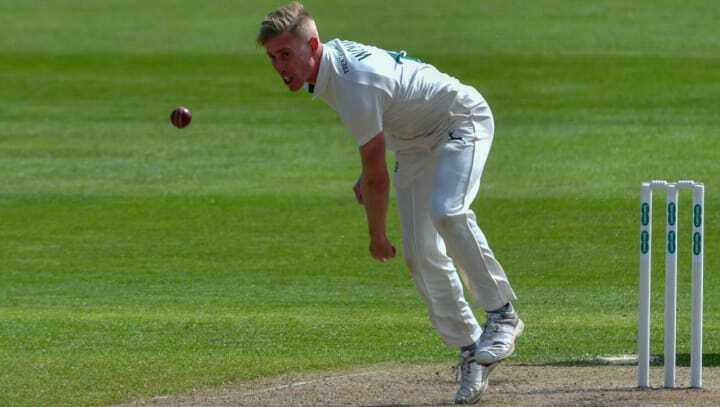 “Luke has applied himself well in pre-season, and going out on loan gives him an opportunity to get competitive action under his belt which will become beneficial for us later in the season,” said Nottinghamshire’s Director of Cricket, Mick Newell. Wood has taken 75 first-class wickets for Notts, including one five-wicket haul, and has also recorded two half-centuries and one century for the county.